In my shady garden self-seeding Welsh poppies, much loved by bees, are putting on a show. But lining the motorway on the way to Kent yesterday were red corn poppies, as intense as scarlet flags and with the same weight of significance. Of course, they speak to us most loudly of war and of remembrance. 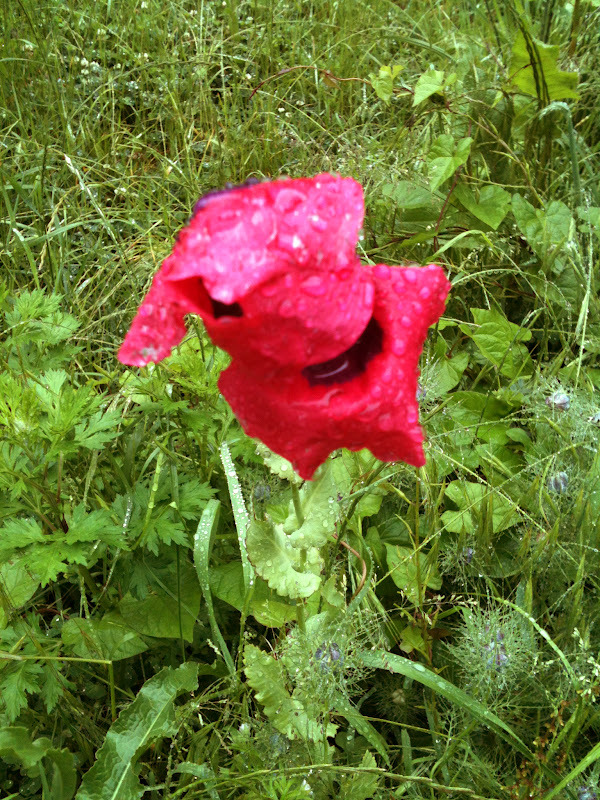 Poppies grow best in disturbed soil; each plant produces an average of 17,000 seeds, a sixth of which can remain dormant in the soil, germinating when a plough – or a shell or landmine – turns the earth over. Within a few months of the Somme the battlefield was blanketed in red, as if both to shroud and to sanctify the blood that had been shed there. Poppies grow best among corn as they use its stalks for support. Modern industrial farming methods don't tolerate interlopers, though, and now we see their scarlet flags in the fields more and more rarely. Motorway verges may not be ploughed, but neither are they mowed, their long grass a welcome substitute for these beautiful and fugitive anachronisms.